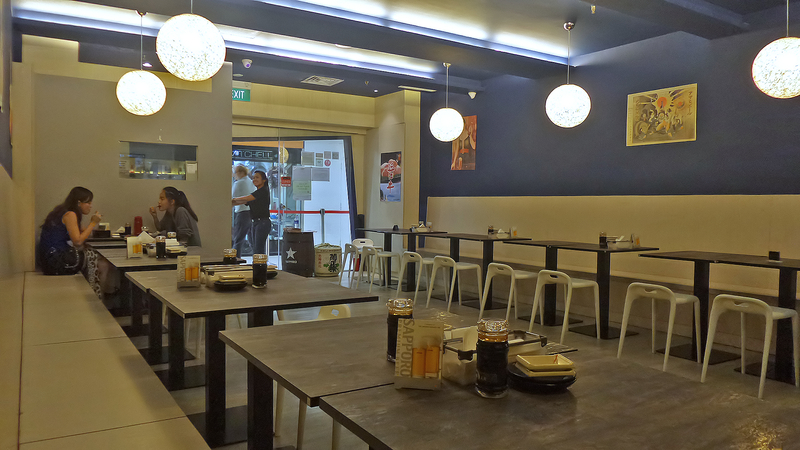 Hidden amidst hair salons, tattoo parlor and fashion shops, I discovered this hole-in-the-wall Japanese restaurant on my way to the toilet at Far East Plaza in Orchard. The queue could rival those for H&M’s designer collabs, and that made me curious. I have quite high expectations of the quality of Japanese cuisine, so I tried The Sushi Bar with a tinge of skepticism – can you really find good and affordable Japanese food in a fashion mall? 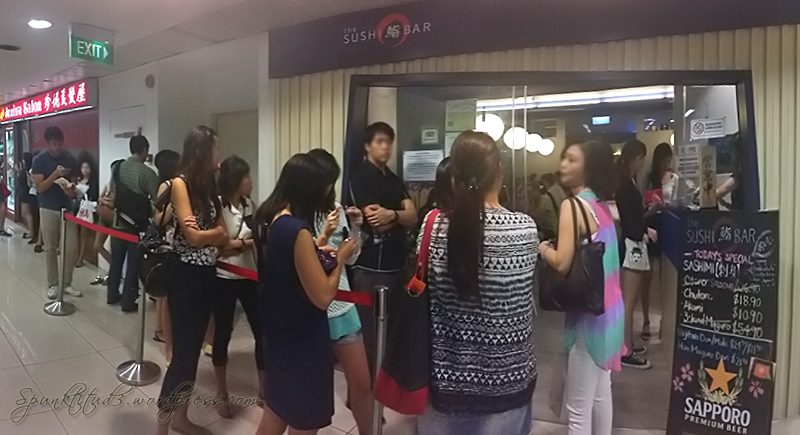 The Sushi Bar only takes reservations on weekdays before 5:30PM, so come prepared to queue for at least 30mins. Converted from two shop spaces, the restaurant is small and there’s not much decor nor ambiance to talk of. But who cares if the food is good. 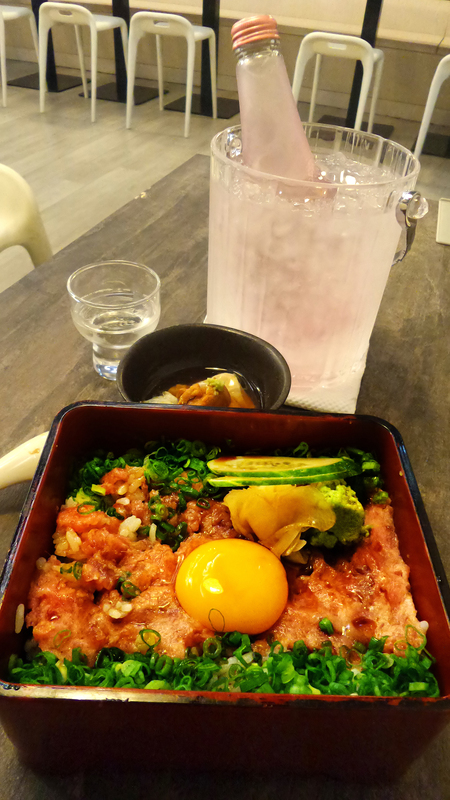 Two of the dishes you should eat at The Sushi Bar are their value-for-money sashimi and chirashi. I heard they do a mean spaghetti too. The tiny kitchen is always busy and the culinary team headed by Chef Eugene Heng are all so young, I felt like a relic. Check out the specials on the board. That’s where I usually order from. This was yumz. I licked the bowl clean. One little detail to mention – they use fresh wasabi, not the powdered version. This was delish. I finished an entire plate by myself. A mouthful of goodness. I want more. 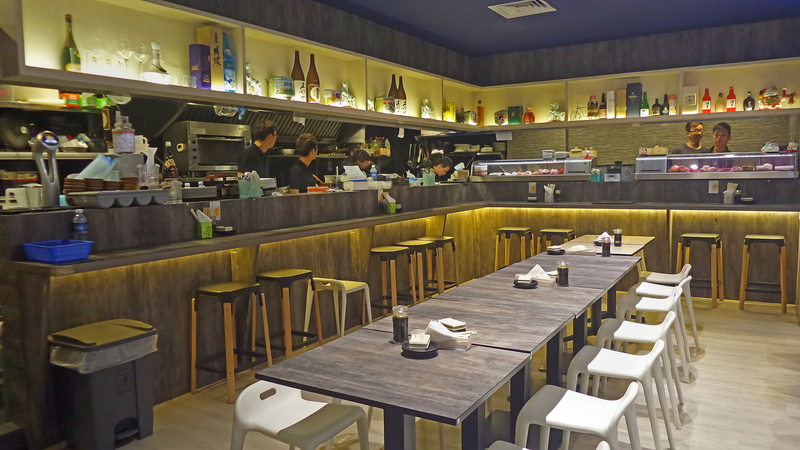 Categories: Food | Tags: cheap sushi places in singapore, far east plaza, good japanese restaurants in singapore, japanese food, salmon aburi sushi, sushi place in far east plaza, the sushi bar | Permalink.